Poaching allows you to obtain the most nutritional value from an egg (unless, of course, you are up for consuming them raw, Rocky Balboa–style). 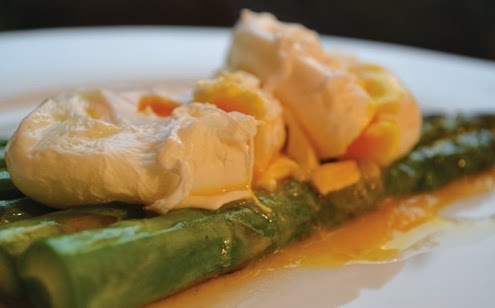 And lucky for you, there’s more than one way to poach an egg. Fill the saucepan with water and add the apple cider vinegar. Heat until the water begins to simmer. Stir the water so a whirlpool starts to form, and crack the egg into the middle. The water movement will cause the egg to wrap into a ball. Leave the egg poaching in the water until the white has cooked fully. This usually takes around 2–3 minutes; however, we like our yolks runny, so leave it in slightly longer if you prefer a more solid yolk. Fill the saucepan with water and heat until the water begins to simmer. Coat the silicone egg poacher with a small amount of oil to prevent the egg from sticking. 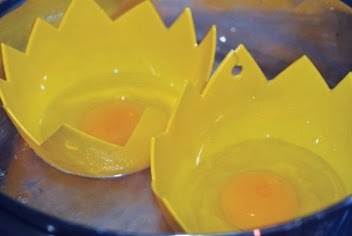 Crack open an egg and pour into the silicone poacher. Place the poachers in the saucepan of water and cover. Leave poaching in the water until the white has cooked fully. This usually takes around 3–5 minutes; leave in slightly longer if you prefer a more solid yolk. This is one of the healthiest breakfasts you can eat, not to mention incredibly quick to put together. And it will easily keep you fueled until lunchtime and also aid weight loss. You’ll need a steamer for this one. Bring water in a steamer to a simmer. Cover the salmon in parsley and place in the steamer. Leave some room to add the spinach later. While the salmon is cooking, poach the eggs (see How to Poach an Egg). While the eggs are poaching, add spinach to the steamer. 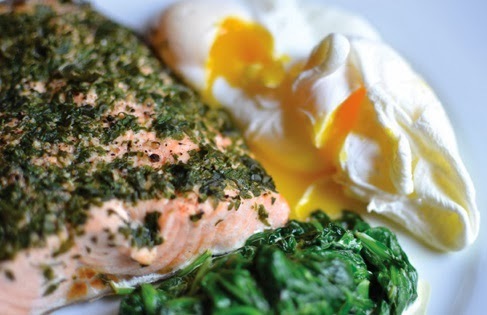 When the eggs are cooked, place them on a plate; add the cooked salmon and spinach. Grease a loaf pan with butter or coconut oil. Place the eggs in a large mixing bowl, and mix until the whites and yolks are blended. Add the grated zucchini to the beaten egg. 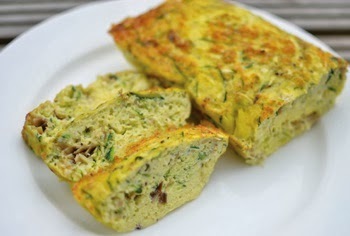 Break the mackerel into pieces, and stir into the egg and zucchini mixture. Pour into prepared loaf pan, and bake for around 20–30 minutes. Use a knife to check that it is cooked in the middle; the knife should come out clean. 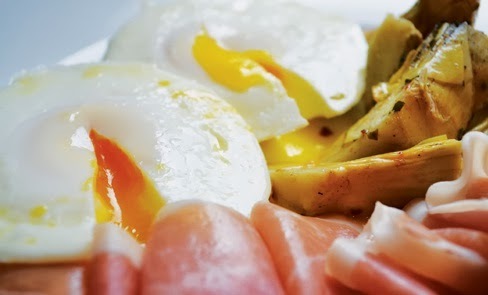 Here’s a simple yet hearty breakfast that can be cooked in minutes and leave you happy for hours. This recipe uses chives and scallions, both from the onion family. The difference is, chives are milder and more slender than scallions. Place the coconut oil in a pan and melt over low heat, then add the bacon. As your bacon cooks, beat three eggs in a bowl and add the chives and scallions. When the bacon is cooked to your liking, remove from the pan and add the egg and scallion-chive mixture. Keep stirring in the pan until it’s scrambled. Season with a little salt and pepper, and serve with the cooked bacon. This is a bit of a twist on an old favorite. Adding grated creamed coconut and cilantro give this dish a distinctive twist. Sometimes we add some steamed whitefish or chicken and enjoy this as a quick light weight supper. Melt the coconut oil in pan over low heat. Add the spinach and cook until the leaves wilt down. While the spinach is cooking, beat the eggs in a bowl and then stir in the grated creamed coconut and fresh cilantro. Pour the egg mixture over the wilted spinach. Allow the eggs to cook through slowly for around 5 minutes, using a spatula to gently peel them away from the edge of the pan to ensure that they don’t stick. Melt about a teaspoon of coconut oil in a pan. Beat the eggs in a large bowl until the whites and yolks are combined. Pour the mixture into the pan. Allow to cook through for a few minutes until the egg has set (slightly runny on top). Use a spatula to gently peel the eggs away from the edge of the pan to ensure they don’t stick. Spread the tomato sauce over the omelet base as if it were a pizza. Tear up the spinach leaves. 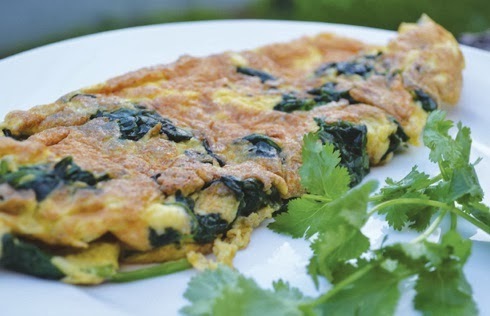 Sprinkle the torn spinach, goat cheese, and fresh basil (or mixed herbs) onto the cooked omelet. Add the pepper and olives, and gently fold the omelet in half, sealing the edges by pressing down with the spatula. Allow to cook for another 5 minutes to ensure that the cheese has melted. Best served hot from the pan, but like pizza it’s just as tasty served cold. Eat this alone, because you’ll be unable to contain yourself! 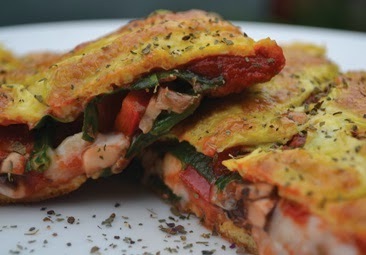 A tasty egg-free breakfast that can be thrown into a pan and cooked in minutes. Ideal as a hearty start to your day. Heat a little coconut oil in a frying pan. Add the onion and tomato to the pan and stir-fry. Add the ground chicken or turkey, and continue to stir-fry for 2–3 minutes. Add the tomato sauce, mixed herbs, salt, and pepper, and stir-fry for another 5 minutes until the meat is cooked through. TIP: Tastes great with sliced avocado served on top. Bacon, avocado, and tomato sandwiched between two juicy layers of meat. Never mind hours, this will keep you going for days! TIP: Try adding a tablespoon of fresh cilantro, a squeeze of fresh lemon juice, or ½ teaspoon of chili to the avocado mixture for an extra flavor hit. Using your hands, combine the ground chicken or turkey, mixed herbs, salt, and pepper in a bowl. 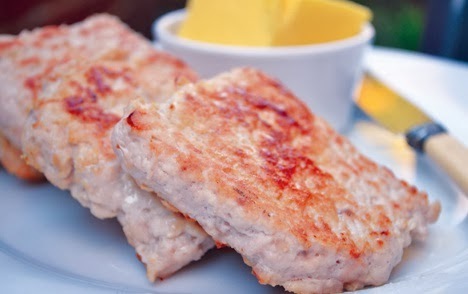 Place the burgers on a grill tray and bake for about 20 minutes, or you can panfry the patties if you’re pushed for time (this takes around 10 minutes). While the burgers are cooking, start to prepare your filling. 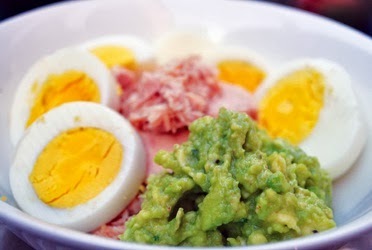 Scoop all the flesh out of the avocados into a bowl, add salt and pepper, and simply mash it together until creamy (keep it a little chunky, like guacamole). Cook the bacon in a frying pan until nice and golden. Remove the burger “buns” from the oven. 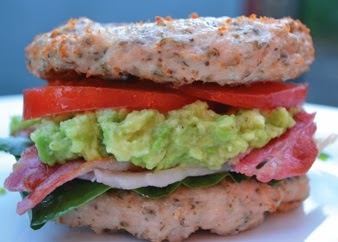 Assemble the layers in this order: meat bun, spinach leaves, two slices of bacon, two spoonfuls of mashed avocado, tomato slices, and top with another meat bun. Admire your creation for a few minutes, then wolf it down while it’s still hot. Not exactly toast, yet incredibly tasty! The key is to get the seasoning right and serve it hot with some melted butter or ghee. TIP: Try adding other herbs like thyme, rosemary, or parsley to the meat. Mushrooms and sun-dried tomatoes are also great in turkey toast. Heat the oil in a frying pan over a low heat. Combine the meat, herbs, salt, and pepper together in a bowl using your hands. There are two ways to make these into slices of toast. You can flatten the ground turkey mixture onto a sheet of parchment paper and then use a sharp knife to cut into squares. Use a spatula to scoop up each square and place in the pan. Alternatively, you can simply flatten out the ground meat onto a sheet of parchment paper and then place into the pan as one large square, cutting into smaller squares as it cooks in the pan. Cook for around 10 minutes, flipping over each piece after 5 minutes. Ideally they should be golden brown on both sides and cooked through. Once cooked, remove the toast from the pan and spread with butter or ghee. These are best eaten warm from the pan. 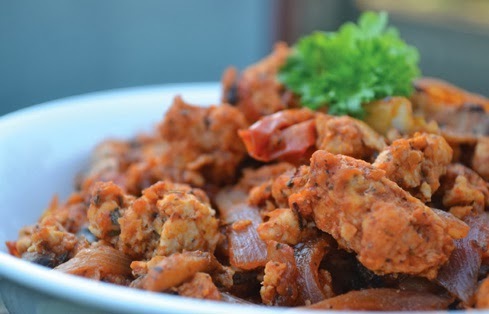 Chunky chicken and slices of bacon in a bowl full of healthy fats. Quick, tasty, super filling. Heat the oil in a frying pan and add the chicken. Stir-fry the chicken and season it with salt, pepper, and smoked paprika. Cook the bacon in a separate frying pan until nice and golden. 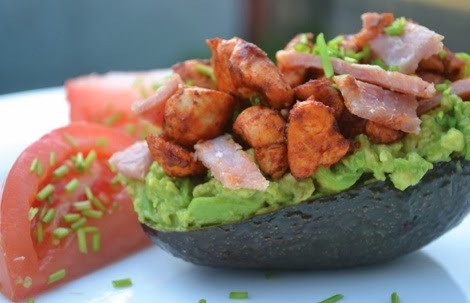 While the chicken and bacon are cooking, slice the avocado in half and remove the pit. Keeping the skin of the avocado halves intact, scoop out all the flesh into a bowl. Mash together until creamy, keeping it a little chunky. Place the mashed avocado back into the empty shells. When the chicken and bacon are cooked, place on top of the mashed avocado. Occasionally you might fancy something a little crunchy for breakfast, so this is our breakfast cereal substitute. It’s also great as a quick energy snack. A recent brunch discovery at a London café. 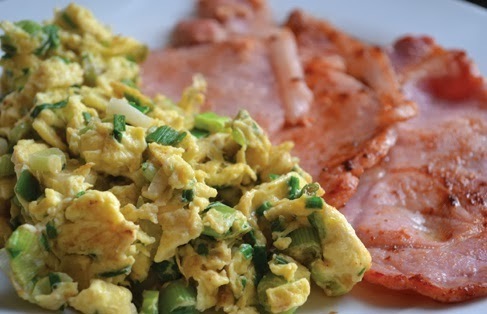 What a fantastic take on scrambled eggs! 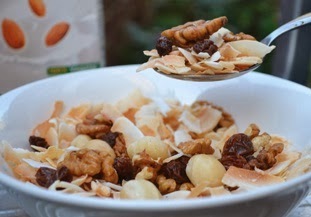 Combine all the dry ingredients in a bowl and top with almond or coconut milk. Enjoy! Heat a saucepan over medium heat and add the chorizo. Stir occasionally to prevent the meat from overcooking. In a second pan, melt the coconut oil. In a bowl, beat together the eggs and add to the pan. Keep stirring until scrambled. Cut the sun-dried tomatoes into small pieces and stir into the eggs. 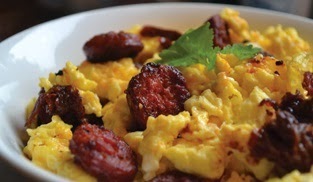 Serve the eggs topped with the chorizo. Liver is not liked by many people, which is a nutritional tragedy as it is packed with vitamins and minerals. It also makes great soldiers that taste great dipped in an egg yolk. Melt a teaspoon of coconut oil in a pan. Place sliced liver in the pan and gently cook over low heat. Bring a small pot of water to a boil, and place the eggs in the pot. 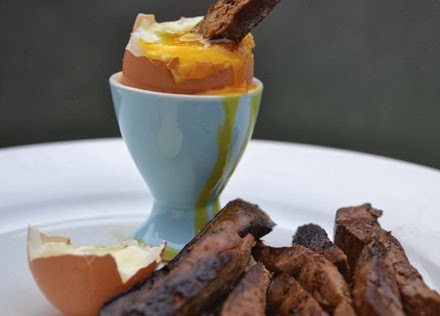 Once the egg is ready, place one in an egg cup, slice off the top, and dunk in a tasty slice of liver. This is one of the quick brunches we whip up on weekends when we have a busy day ahead. It offers a good dose of protein and healthy monounsaturated fats will keep you going for hours without even thinking about your next meal. Place the eggs in a pot of boiling water. Boil for 5 minutes and then place in cold water to cool. Slice the avocado in half, remove the pit, and scoop out the flesh into a bowl. Add the lime juice and a pinch of chili, and mash together with a fork. Open the can of tuna and drain off the excess water. Place half of the tuna into each bowl.